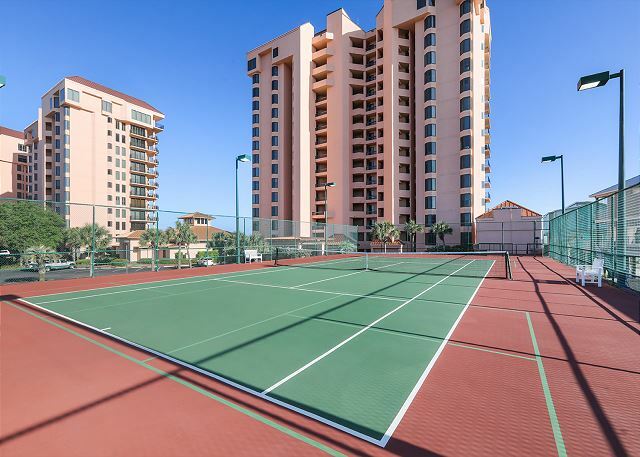 Views of the Gulf from the master bedroom, the living area and large balcony as well as Caribbean style decor with tile throughout makes this condominium a renter's favorite. Fully appointed kitchen includes ice maker, microwave, dishwasher and laundry area with full size washer and dryer. Other features include ceiling fans, central heating and air conditioning, and a large master bath with whirlpool tub, separate glass enclosed shower, double vanity and lots of closet space. First time in a unit with this floor plan and we really enjoyed it. Even though the weather was rainy, we did some puzzles, shopped, ate and just relaxed. This is our go-to place in OB! Rocky Start to a very much needed vacation. Halfway down on our 8 hour trip to our long awaited, very much needed vacation we got a call from property management that the penthouse condo we rented had flooded and no longer available. Being up high and the balcony is KEY to us. We settled for a substitute that we had never seen before. We arrived afterhours and our key was waiting with the guard. We stayed one night in the substitute condo that was lacking beach character, dark, no privacy on a balcony that felt like we were in a broom closet. Next morning I talked with the very nice ladies in the office. The gave me keys to look at other condos and we chose 801E. this condo was clean and suited our needs fine. After losing one full day of packing and unpacking and waiting on 801E to be cleaned we finally started our now shortened vacation. Thanks for the opportunity to express my views. I know feedback is very important as I have a retail business of my own. Thank you for choosing the Aronov Gulf Coast team for your vacation reservations. We're so glad you enjoyed your stay at SeaChase and hope to see you again soon! The condo was beautiful, clean and had most everything we could ask for. The ice machine didn't seem to be working correctly, so may need to be checked. The condo was perfect in size and location. My family and I really enjoyed our stay. the other guest in the building were also friendly!